Perhaps Miki has Asperger's syndrome (AS). 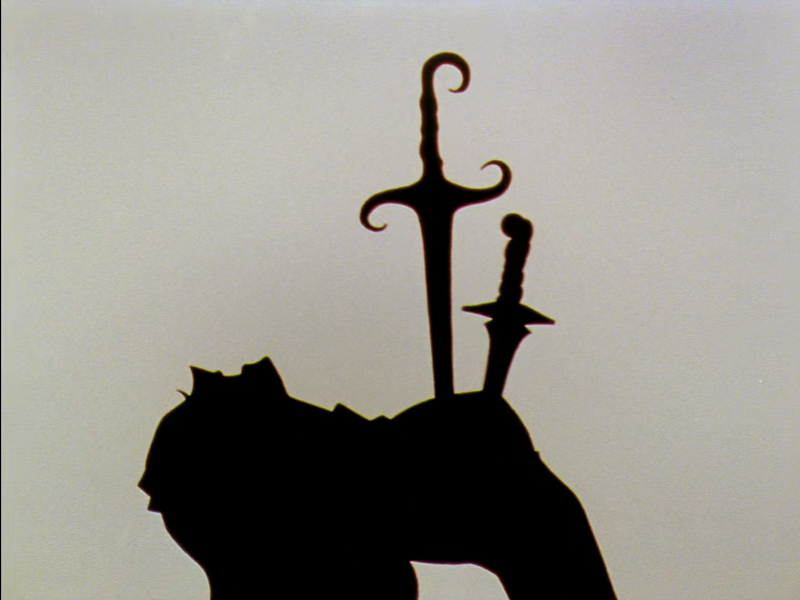 In addition to the watch there are other hints too, e.g. his outstanding musical talent, the way he focuses on studying and his love for order. As the manga version says, even his motto is "A life with order". Young people with Asperger's syndrome are often obsessed with measuring various things, such as distance or time. Dr. Tony Attwood has described people with AS like this: "I have noticed that their qualities of personality include being honest, loyal, reliable, forthright and having a strong moral code and sense of justice. Their cognitive qualities include an exceptional memory, enthusiasm and knowledge about their special interest." I think this could very well be written about Miki! Of course the numbers on the clock might have a deeper meaning. This post just suggests a reason for Miki's habit. If you look up the criteria for an Asperger diagnosis, it's a lot more severe than most people think. 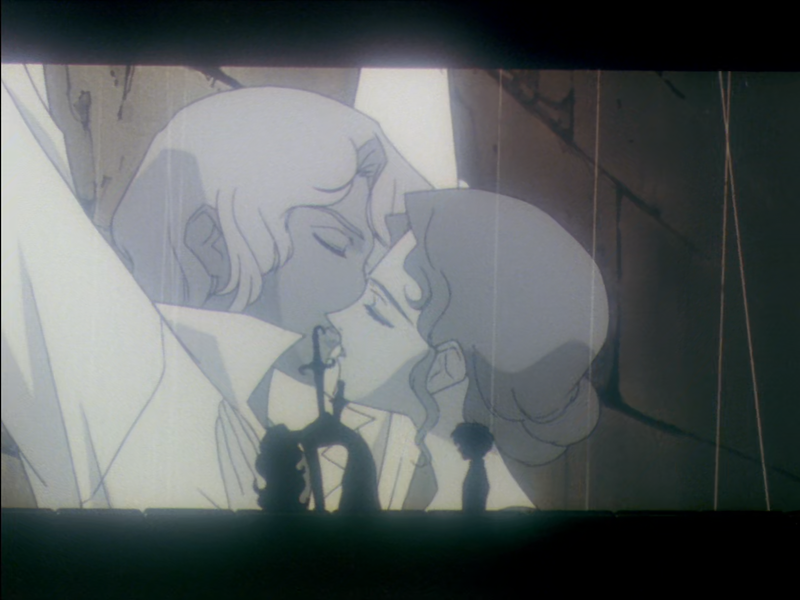 If Miki had Asperger Syndrome, he would never have been able to meet Utena and Anthy-- and god only knows how he'd ever deal with Nanami. The whole reason it's a real disorder is that the person who has it is not able to interact with others normally, to such a degree that it causes great distress to them and impairs their ability to function in the world. Now, if he was flapping his arms and freaking out because his lunch was two minutes late, I'd consider it. I have a cousin with mild Asperger Syndrome, and while he's the sweetest and most loyal person I know, he's also visibly socially abnormal. My friend is AS and she has never had problems with meeting people. Through her I know several AS people and none of them has had serious problems with school or meeting new people if they are well informed about the upcoming situation. (Having lunch two minutes late is another thing, nobody really likes it.) And we have meds for AS people so they really can take part in normal social life. 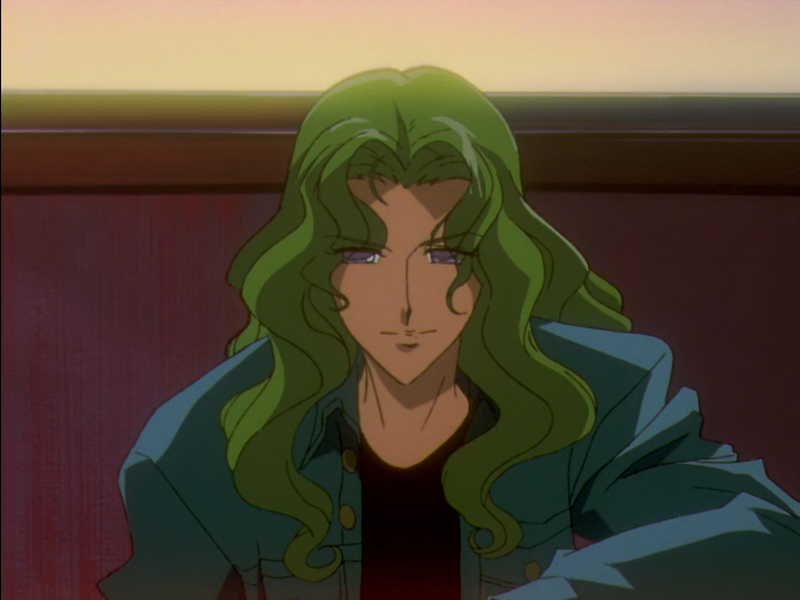 So basically Miki could have AS and still be able to meet Utena, Anthy and Nanami. But he would probably have problems with reading their emotions. None of SKU cast really is simple person so as an AS person Miki should have more problems with knowing their feelings and reacting to them. So I don't think that Miki has Asperger's syndrome. My bad-- I said 'meet' but I was thinking about their first lengthy encounter, the study session, and all of the stuff that went on in and around it. I very much doubt that screaming Nanami would be a happy place for anyone, let alone someone having a first encounter with new people (not to mention new crush!) -- and then to add Asperger Syndrome on top of it seemed like a recipe for disaster. Hell, the circumstances alone would make me visibly socially abnormal. 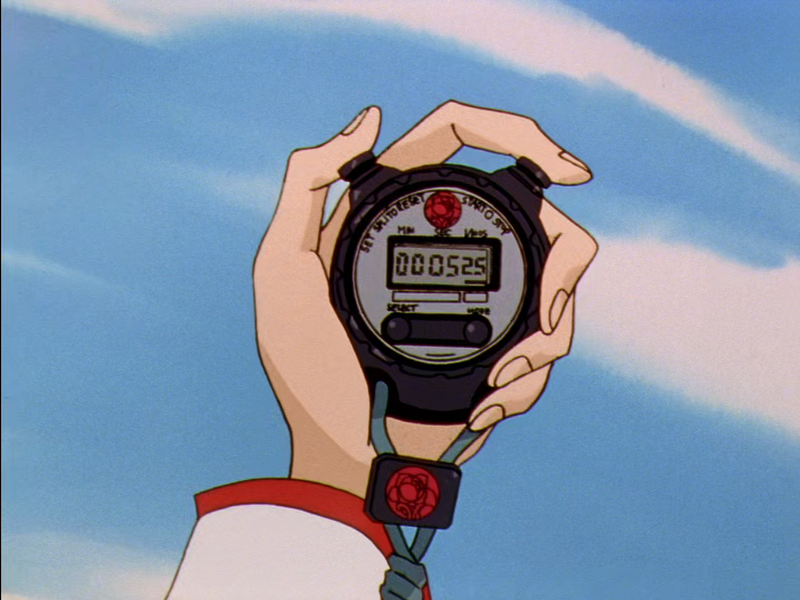 I figure this would be a nice spot to put Utena as told by Miki's Stopwatch, so here goes. Tried to format it to be as legible as possible & has spoilers sewn throughout. Anyways, here's two examples with my reasoning for this claim. 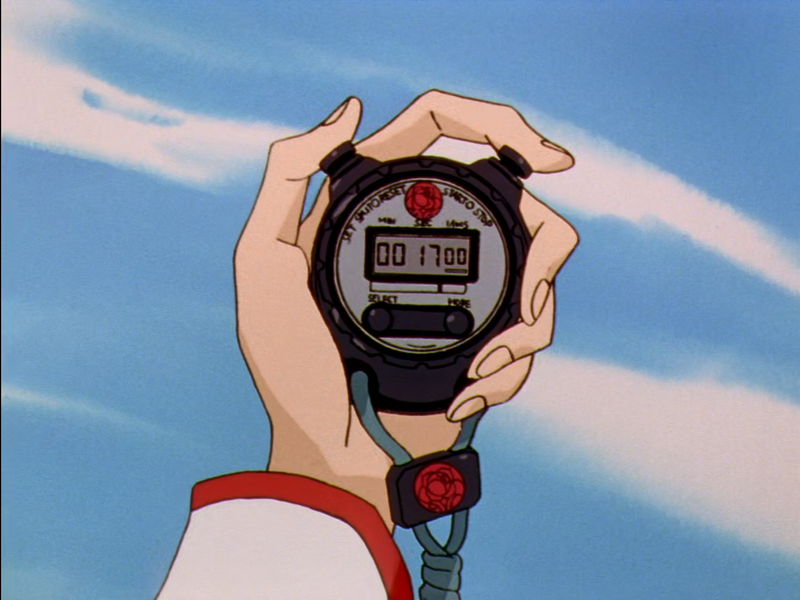 Miki gives a watch stopping @ ~8:41 (8min 41sec), reads 17:00. 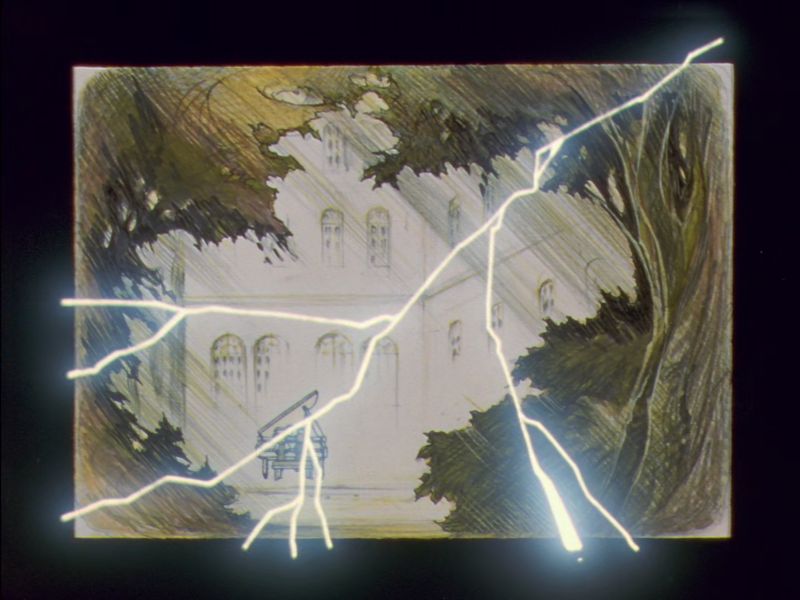 At this point Miki is shocked Utena doesn't know about Nemuro Memorial Hall and talks about how 100 boys were buried alive. 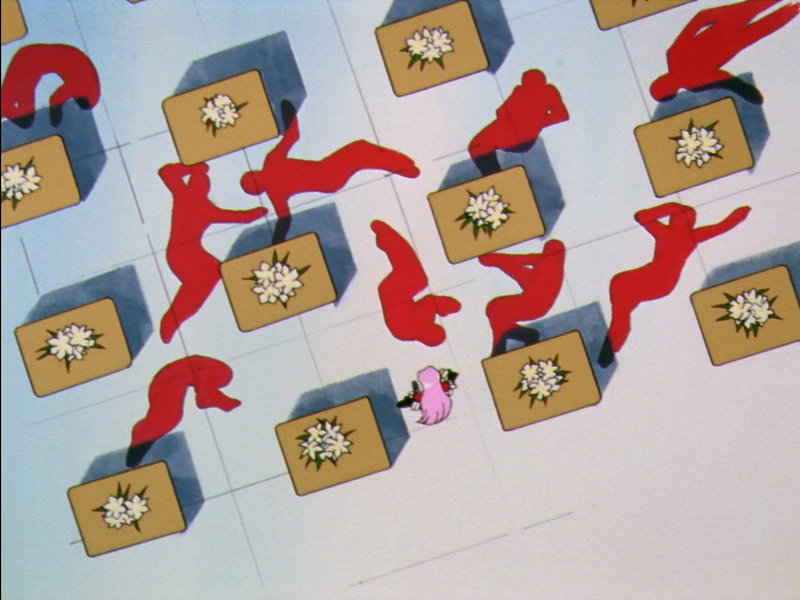 17min into the episode we get this shot of the red corpse outline thingies and flowers on student desk, because subtly is for the weak. Kanae also summarizes the whole point of the arc, by going on about her "true self" vs. her "phony self" and how she "buried" it (alive). AKA, the arc where student council gets buried in favor of showing less subtle representations of their motivations and driving forces. But that doesn't tell the why nor the how! 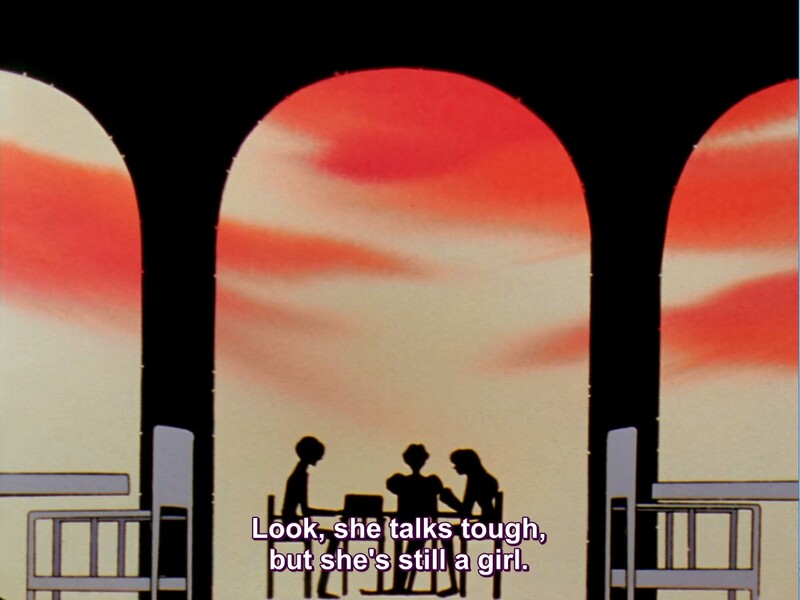 Funfact: every episode of utena is 23min and 27sec exactly. [click] Anyways, 17min before stopwatch is episode 13 @ 15:08 (15min 8sec). This shows Miki's childhood memories being shattered, with Akio commenting that none of them (student council) will revolutionize the world because they've had hope(miracles) taken away from them. It's the piece saying the stuco is out of commission this arc, because they're "broken" right now. Well, there's the why, but who's gonna take their place? 17 minutes after stopwatch is episode 15 @ 2:14 (2min 14sec). Bam, Kozue. Here to make Miki her Rose Groom(thanks Mamiya) and keep the duels coming (soon). Thanks creepy authority figures, you always know how to keep the plot rolling! Image, set! But that's just one example, and a rather tenuous one on it's own. Well, here's the watch for ep 19 from 8:12. It reads 05:25. Miki gives a sassy line about Nanami's desires being met by an elementary schooler, and @ 5min 25sec we get a scene of Wakaba's flashback where her needs are met (as tool to stop bullying) by an elementary schooler. 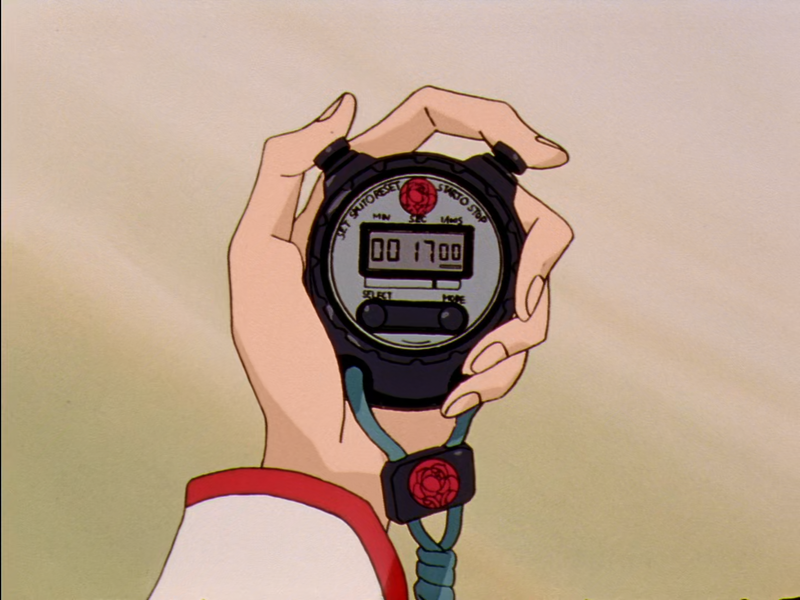 Jumping to the other stopwatch in this ep real quick, which starts at 8:33 and reads 17:00, we get another tie-in for Miki's jab. 17min back in ep 18 @15min. It's just straight up a few seconds before the scene where Tsuwabuki removes the swords from Nanami, creepy mini-date set-up and all. The most relevant commentary for past plot points tends to come before the stopwatch was pressed, present is the stuffs immediately after, and future is commentary after as well. With this knowledge back to 8:12, and our -05:25 gives us 3:27 (3min 27sec). 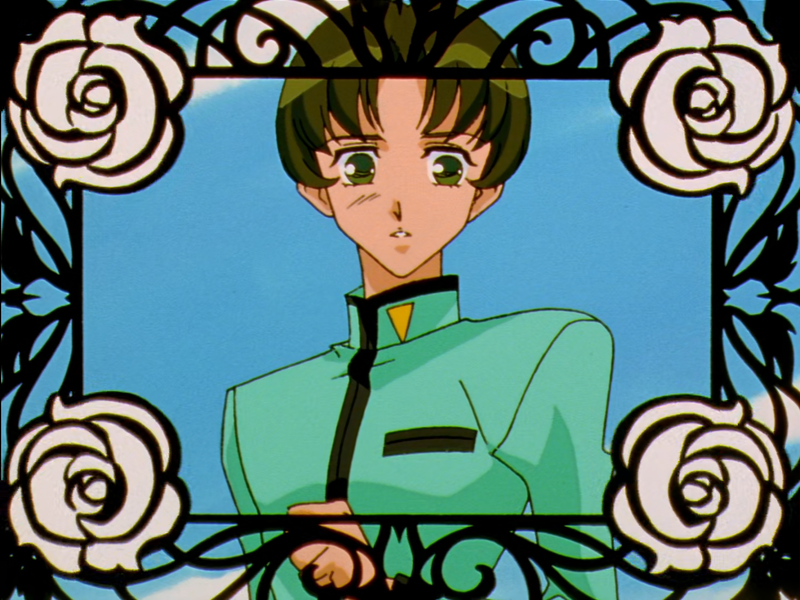 Now this is when Wakaba first remembers Onion Prince, but keep track of when the frame is meant to be read as relevant to Wakaba (brown roses), the Prince (white), and Utena (pink). 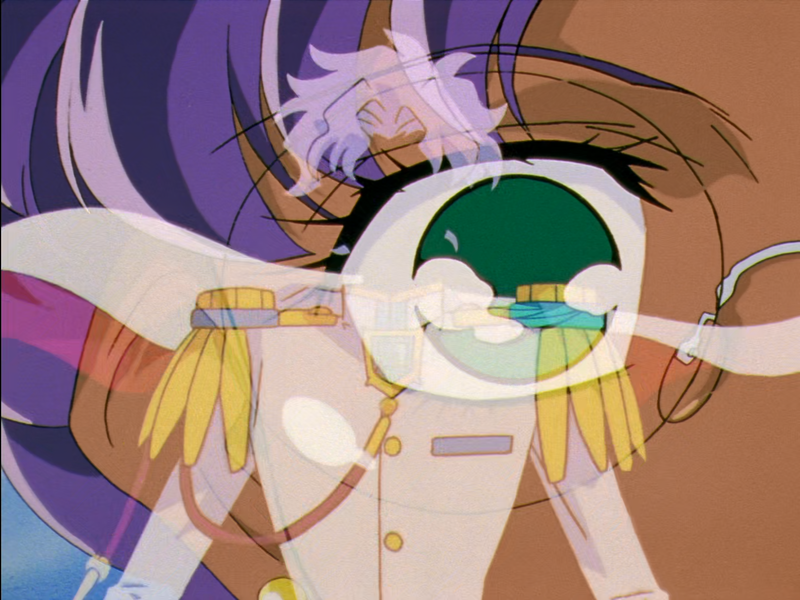 White is a callback to Anthy in ep 12 around 19:50 where she herself has deja vu for her prince. 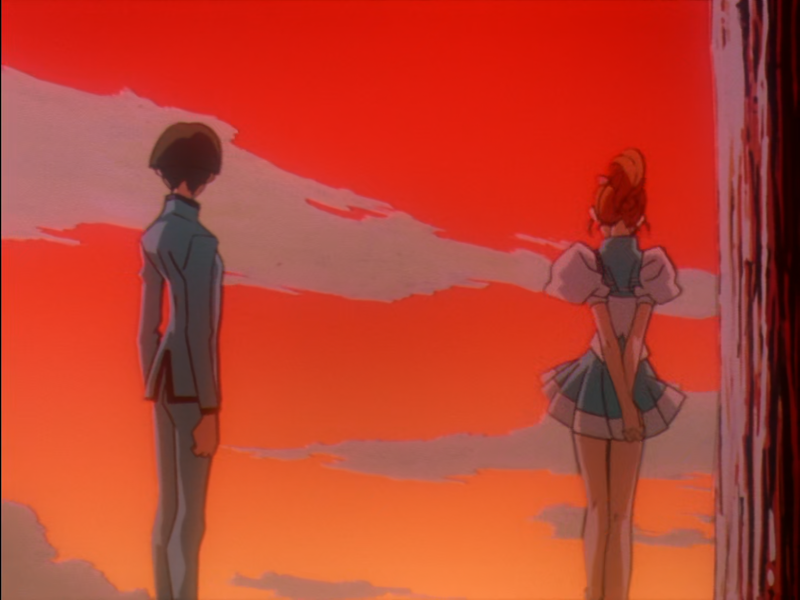 But then it moves to pink as Wakaba recalls they "had met before", because Anthy has indeed met Utena before. Subtle hint(?) 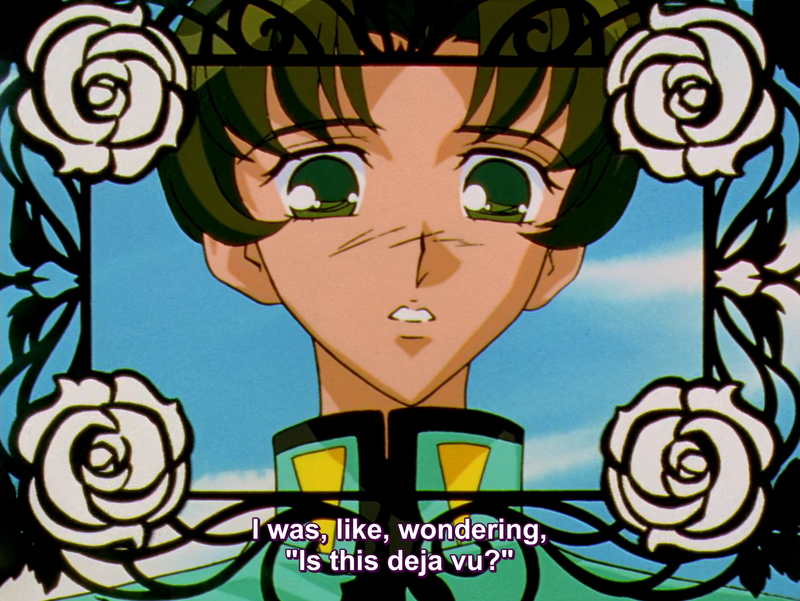 that ep 12 is when Anthy realized who Utena is, or any other interpretation of Anthy seeing Utena in relation to her prince really. 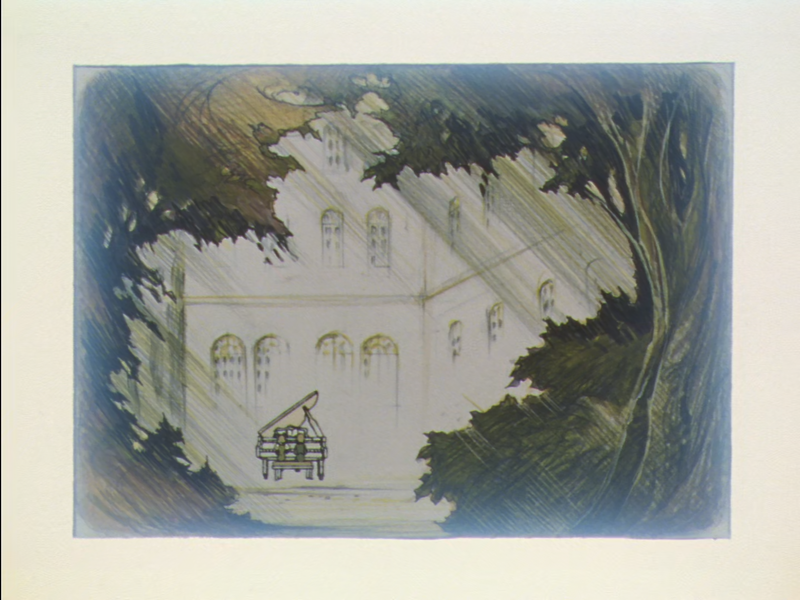 Notably, Juri's comments before the stopwatch is pressed has her playfully teasing Miki over who he thinks about while playing piano, which sets the tone perfectly for the episode. Because it's all about implanting the idea that this show ain't gonna be upfront about who each character loves/cares about/is focused on most. Basically, it's a re-enforcement of Juri's episode, taken to it's logical extremes. Image-set! & summary: Ep. 19 is all about love and who people are /actually/ thinking about, while making it clear to the viewer that the most obvious suspect isn't necessarily the truest. Nanami claims that what she's doing with Tsuwabuki is just play and big bro's the real hero, Miki seems to be "always" thinking of Anthy (but what about Kozue? ), and Juri pities the two despite her own constant focus on Shiori, failing to realize how she's no different till she's given The Look. They'd all be better off if they could change who they love (but what is love? old memes don't hurt me~) And maybe some foreshadowing to Anthy/Akio/Utena's fates?? 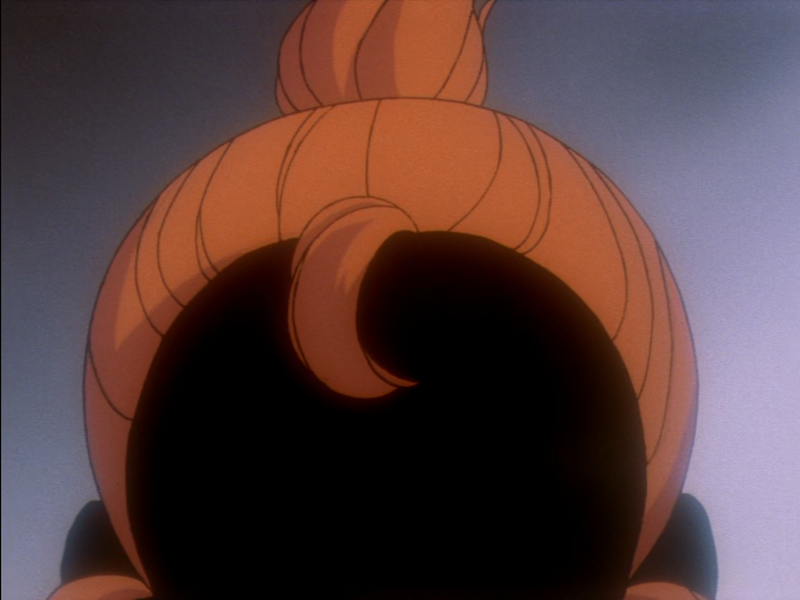 *Bonus: Favorite callback.